How Can I Take Basic Steps To Decrease the Stress of Dealing with Financial Issues During My Divorce? Divorce is rarely an easy process for anyone to go through, but there is no question that perhaps the most difficult part of the process is the amplified emotional stress and the inability to focus. This added stress can make it hard to make important decisions to protect your financial future. This is why it is so important for you to work with an attorney who is skilled when it comes to divorce law and who you know will work by your side to protect your best interests. One thing that you are able to control in this process is how organized you are. Taking the time to get organized can not only decrease that stress, but significantly increase your chances of a favorable outcome in the divorce. How you organize your documents can help keep down unnecessary fees so that your attorney and any other advisors can quickly access them. It is advisable to separate documents by account type and keep them in chronological date order. Keep in mind that one of the most important initial steps you will take with your attorney will be determining what is marital versus non-marital property, and any relevant evidence will involve when and how that particular asset was acquired—was it earned over time, inherited, etc. Your bank statements, earning statements, tax returns, and other evidence of monthly income and monthly expenses will help support and/or defend against potential alimony claims. Some clients also find it helpful to have a financial analysis prepared by a professional that breaks down their cost of living during the divorce and cost of living after their divorce is finalized or someone that can comb through voluminous financial statements with ease. 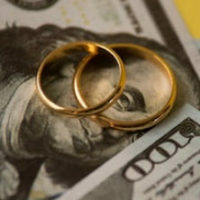 This can not only be helpful in terms of relieving stress but also in providing the Court with competent and substantial evidence for determining alimony payments and also for helping you determine and negotiate which assets/liabilities are most important to retain and which assets/liabilities might not make good financial sense to retain. Who you work with can make all of the difference between a divorce that is simple or complex and stressful. At Greater Orlando Family Law, we treat every case and divorce as its own unique entity, with its own interests and issues to protect and resolve. Contact our team of skilled Florida divorce attorneys today to find out how we can best protect your interests in divorce.